Gevorg Petrosyan knows that a good highlighter knows no gender. The makeup artist and blogger runs several accounts on YouTube (videos in Russian) and on Instagram, as well as occasionally writing articles for Russian websites arguing that men shouldn’t shy away from concealers and BB-creams — or even full glam looks with false lashes and glitter. 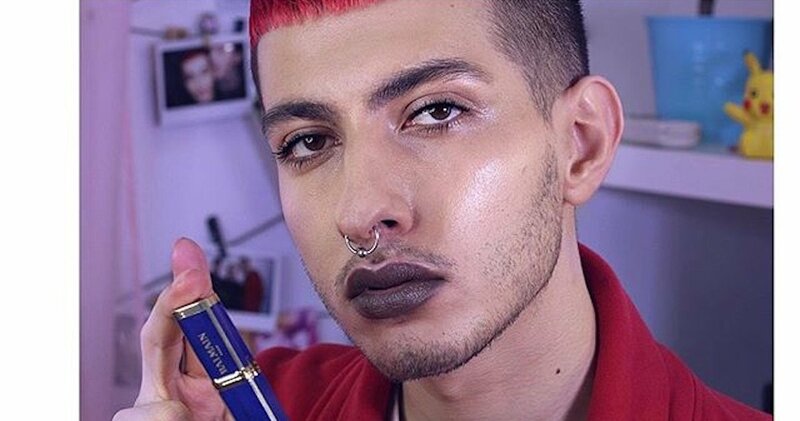 Unlike some other male makeup bloggers, Petrosyan doesn’t aim to recreate the traditionally smooth-faced ultra-highlighted looks predominant on Instagram, instead wearing his stubble with colourful smokey eyes and metallic lipsticks.